Dr. Bart obtained his MD and PhD from the University of Amsterdam, the Netherlands. From 1998 to 2003 he was trained as a general surgeon at the Academic Medical Center in Amsterdam, the Netherlands and specialized in Gastro-Intestinal and Laparoscopic surgery. The following year a fellowship Pancreato-Biliary Surgery was done in London. At the end of 2004 he was appointed consultant surgeon and head of the surgical department at the Sint Lucas Andreas Hospital in Amsterdam, one of the largest teaching hospitals in the Netherlands. In the following years he established a full Laparoscopic Gastro-Intestinal and Bariatric program (IFSO certified), performing and teaching thousands of advanced laparoscopic surgeries. During the same period he was chairman of the Medical Board and responsible for the merge of Sint Lucas Andreas Ziekenhuis and Onze Lieve Vrouwe Gasthuis into OLVG Amsterdam. Also, he served as president of the Dutch Society of Metabolic and Bariatric Surgery. In September 2017 he moved with his family to the United Arab Emirates to initiate the international expansion of QURO (Dutch Obesity Clinic) – fully integrated multidisciplinary lifestyle program - as Chief Medical Officer, consultant Laparoscopic and Bariatric surgeon and trainer. 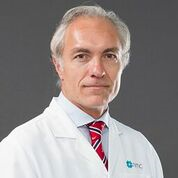 Currently, he is co-chairman of the Communication Committee and member of the Data Protection Committee of the International Federation for the Surgery of Obesity and Metabolic Disorders (IFSO), member of the editorial board of Obesity Surgery (Springer) and published over 90 peer reviewed articles and 2 book chapters. He organized several national and international conferences and presented and served as moderator at many national and international conferences. He is experienced in both primary and revisional surgeries: Adjustable Gastric Band, Roux-en Y Gastric bypass, Sleeve Gastrectomy, Single Anastomosis Gastric Bypass (Mini Gastric Bypass), Bilio-Pancratic Diversion with Duodenal Switch (BPD-DS) and Single Anastomosis Duodeno-Ileal Bypass (SADI). Dr. Bart is a member of the International Federation for the Surgery of Obesity and Metabolic Disorders (IFSO), American Society for Metabolic and Bariatric Surgery (ASMBS), European Association for Endoscopic Surgery and other interventional techniques (EAES), Dutch Society for Metabolic and Bariatric Surgery (DSMBS), Dutch Society for Gastroenterology, Dutch Society for Gastrointestinal Surgery and the Dutch Society for Surgery. Languages: Dutch, English, German, French and Spanish.